Headed to an Oktoberfest celebration anytime soon? Do you have a lot of German pride that you’d like to show off this Halloween? Well, we have the perfect costume for you to wear for both of these festive events! 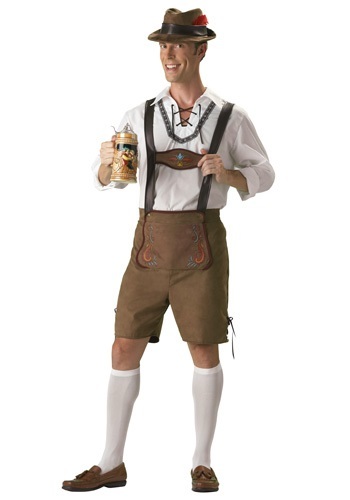 Check out this awesome Oktoberfest Guy Costume. Once you jump into this lederhosen get up, you’ll look fully prepared to celebrate a traditional Bavarian Oktoberfest. 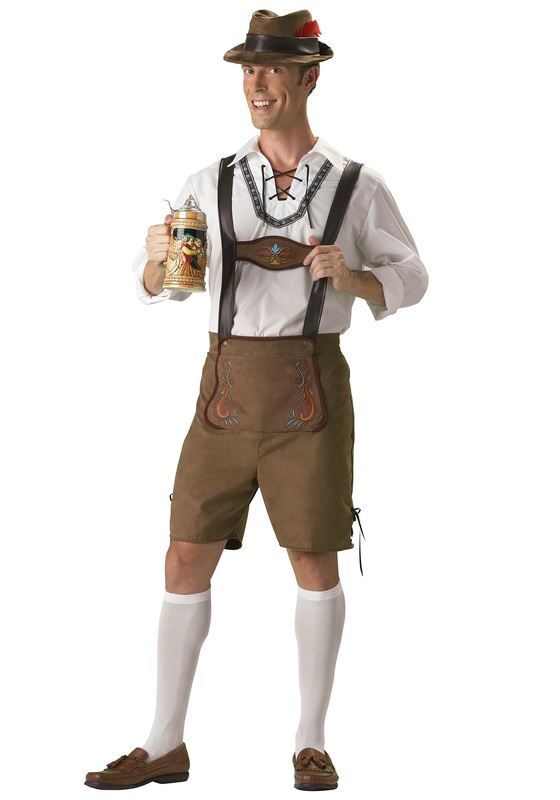 We heard the secret to the Germans being expert connoisseurs of beers is the lederhosen. It somehow increases one’s abilities to taste every hint of flavor in each beer and differentiate one from another without a problem. It also increases the amount of beer one’s stomach can carry. There’s really no explanation as to why the lederhosen can turn an ordinary man into a beer-crushing machine, just an old German secret. But now the secret is out and anyone, even you, can be ready to enjoy Oktoberfest to it’s fullest. Of course, if you happen to be sporting this costume out to a Halloween party you can still have plenty of fun! You may not have the scariest outfit at the party but you certainly will stand out from the crowd. Who knows? Maybe you’ll even get the opportunity to explain to some lucky people exactly what Oktoberfest is and convince them to join in on the festivities for the years to come. 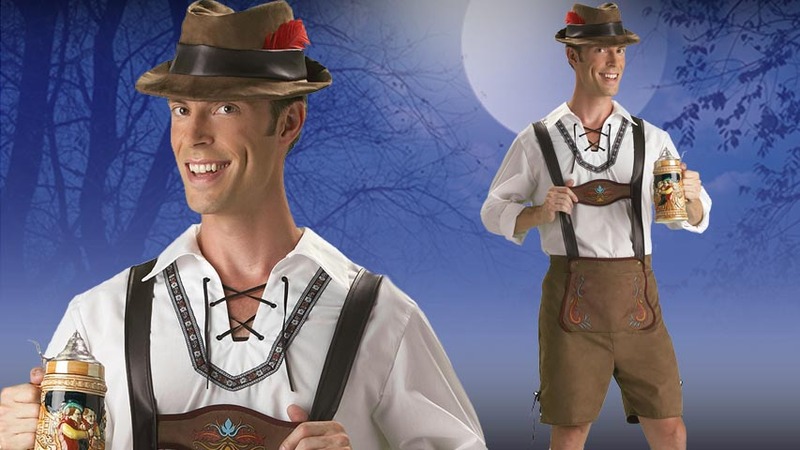 Grab this costume and get ready have the most memorable Halloween or Oktoberfest you’ve ever had. Everyone will want a chance to have a drink with you when you look like the most cheerful German running around town!